As the year comes to a close we do what a lot of other people do, we make our final donations to the charities that are close to our heart. If you are considering making a donation to a charity yourself, please do so immediately ie TODAY. We are so fortunate in our lives and we try to give as we see need throughout the year but there are a few very special organizations we strive to support that I want to share with you. As you could predict, organizations that help the children, those that can't fend for themselves, are the nearest and dearest to our hearts. 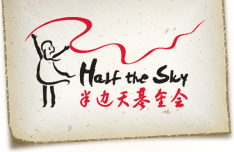 Half the Sky Foundation is one such organization. It's mission is to better the lives and enrich the childhoods of those in China's orphanages. By enriching the facilities and providing training to the orphanage directors and nannies, they provide loving family-like care to every child of every age. It has been proven that the children that learn to form bonds with their care givers thrive and adjust better to their new families when they are adopted. Sunshine did not live in a Half the Sky center but we know and understand the huge benefits this organization provides to the children in their care. 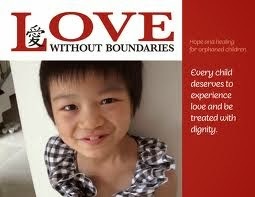 Love Without Boundaries is another non profit working in China to help the children. They are dedicated to improving the lives of the orphans and to aid the impoverished. Through their medical teams, children get much needed surgeries. Sponsors send orphaned and rural children to school so they have a better chance at a bright future. They also have programs for foster care, nutrition, orphanage assistance and so many others, all focused on the youngest of society, the children. Catalyst Foundation is an organization that is working to improve the lives of the orphaned, abandoned and homeless children and striving to end child trafficking by addressing the root causes. Through their work, entire villages have been supported to the point where they now are self sustaining, the adults can earn a living and the children are no longer in danger. Their current project is focused on a small village of ethnic Vietnamese who are dieing quickly due to lack of resources so basic like water. Catalyst Foundation also hosts the annual Vietnamese Culture Camp to promote Vietnamese culture to families with children adopted from Vietnam. The time we have spent at culture camp with Jammer has been invaluable to his self identity and is understanding of his birth country. No child should have cancer but sadly many do. 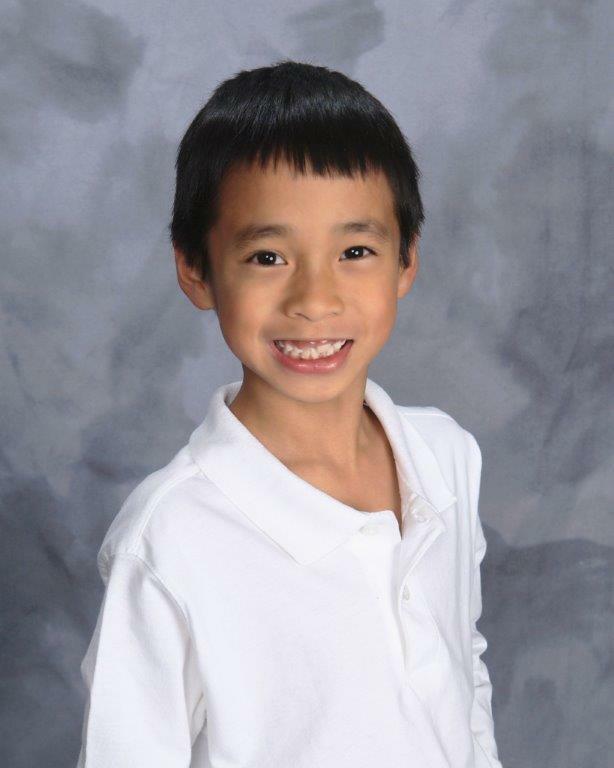 St Jude Children's Research Hospital's mission, to find cures to childhood cancers and other life-threatening illnesses through research and treatment, hits close to home for us. A few years ago, a coworker friend of hub's 2 year old daughter was diagnosed with a rare cancer and her parents weren't given much hope. 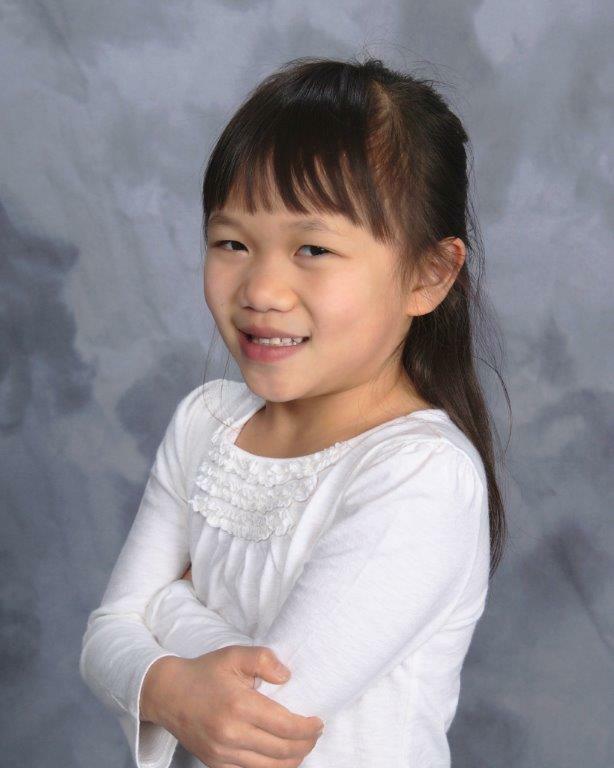 They fought the battle for over 2 years and while she wasn't treated by St. Jude's we know that their research provided much needed information and treatment options to the hospitals she was treated at. Sadly she eventually lost her battle but she did have much more time on this earth to play and to laugh and to just be a kid. One organization that provided direct assistance to our friends during their daughter's cancer fight was Ronald McDonald House Charities. 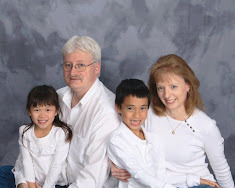 Once their daughter was diagnosed, the mom quit her job so that she could care for their child full time while the dad continued to work to pay the bills, traveling to spend a long weekends together where she was being treated, and having a warm, safe and loving place to call their home away from home. Without this non-profit's help, our friends couldn't have afforded to give all that they could to their daughter. Being a fire fighter family, we unfortunately know all too well the devastation that fire brings. When that happens, the American Red Cross is always there to help the family pick up the pieces and to rebuild their lives. Whether it be from a fire or other natural disaster, the American Red Cross answers the call for assistance day or night, where ever they are needed. Seeing their work first hand, helping people we personally know, makes this charity another that means a great deal to us. This list is not all that we support and we try to do what we can to help other organizations throughout the year, but these specific organizations are the ones that we choose to support each and ever year because they hold special meaning to us. The amounts may not be large, but we know that every dollar helps. So while you are browsing all the fantastic end of year fabric store sites, please consider not purchasing that extra yard or two of fabric and instead send that money to a charity that means something special to you. I too have a hard time resisting a really good deal but for now I have more than enough fabric to play with. 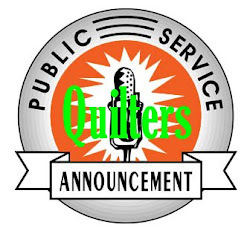 I may still indulge a little teenie tiny bit if the deals are just beyond crazy good, but knowing that I'm instead helping someone with my donation that really needs it warms my heart more than any yard of fabric ever could. Very thoughtful post, Michelle! We are blessed and should each do a little something for others who have not the health, happiness and wealth that we enjoy. Thank you for sharing! And Happy New Year! Sorry for the additional 'L' !